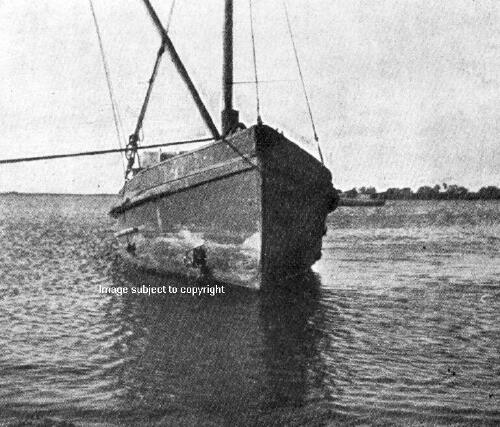 TAHAWAI damaged by lightning and beached on the Awanui River in 1921. 1905 built for Northern Steam Ship Company as a feeder ship collecting kauri gum cargoes around Kaimaumau, Waipapakauri, Waiharara and Awanui. 1921 August damaged by lightning on Awanui River.